Reiki (pronounced ray-key) is an ancient technique used for stress reduction, relaxation, and to promote healing. The word Reiki comes from the combination of two Japanese words, Rei and Ki, which can be translated as Universal Life Energy or Spiritually Guided Life Energy. 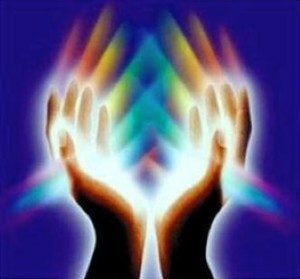 When a Reiki practitioner places his or her hands on or over the recipient’s body, Reiki energy flows to heal the whole person. It can also be given to animals and plants or used to bless spaces and events. Reiki is often given to complement, rather than replace, medical and psychological treatments, and complements any method of alternative healing. Reiki can do no harm. Reiki energy flows through the practitioner and cannot be affected by the giver or the receiver. It always seeks the highest good of the receiver. As with healing prayer, the purpose of Reiki is to call on higher beings, spirits, and guides to bring healing to the receiver in whatever form is needed. Reiki can help accelerate the healing process of the mind, body and spirit as it relieves stress through the peaceful relaxation if offers. Every Reiki practitioner brings his or her own beliefs to the Reiki table. Reiki is not a religion and advocates only a simple set of principles for moral behavior which are compatible with any spiritual belief. Reiki is a gift and a blessing from God/Source. It can only help, heal and comfort. Anyone can be a Reiki healer. It is not an exclusive gift which only some are chosen to practice. Anyone who so desires can give and receive Reiki. To become a Reiki healer, training and attunement by a Master teacher are required. I will show gratitude for everything. I am not offering Reiki treatment sessions at this time. If you are interested in experiencing the benefits of treatment, I encourage you to seek a practitioner in your area. Blessings, peace and love to you.